He shot a tournament record 23 under par to win the AT&T Byron Nelson Invitational. He was the lone rookie to advance to the Tour Championship. He finished the season ranked 24th in the FedEx Cup Rankings. Those were several highlights of a spectacular rookie season for CBT Nuggets-sponsored athlete Aaron Wise. And they didn’t go unnoticed. 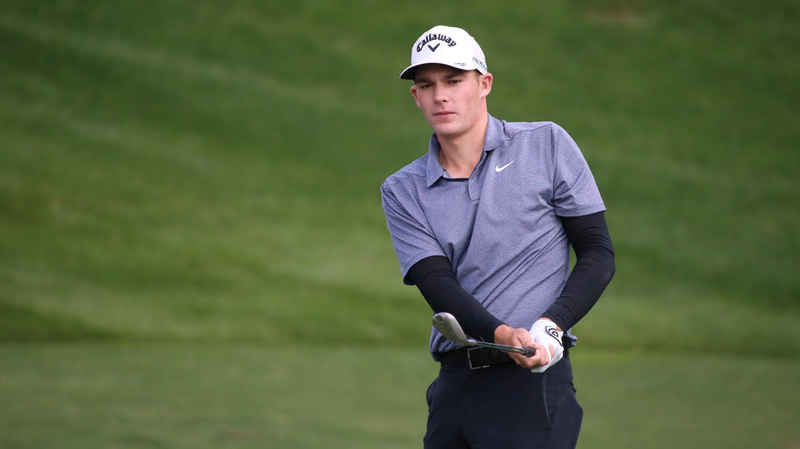 Earlier this week, the 22-year old was named 2018 PGA Tour Rookie of the Year. Wise made 29 starts this season and recorded four Top-10 finishes. In addition to winning the AT&T Byron Nelson, he was the runner up at the Wells Fargo Invitational. He was one of eight rookies to qualify for the FedEx Cup Playoffs and the only one to make it to the final event, the Tour Championship. He finished the season 24th in the FedEx Cup Rankings and 52nd in the Official World Golf Ranking. Known for his driving ability, Wise averaged nearly 303 yards per drive, which ranked 40th on the PGA Tour. His birdie average of 4.11 was 12th best on the tour this season. He also became just the second player to win on PGA Tour Canada, Web.com Tour, and PGA Tour, joining Mackenzie Hughes. Wise’s strong season was recognized by his peers — the rookie of the year award was voted on by PGA Tour members who played in at least 15 FedEx Cup events this season. Wise is fully qualified for the tour this season. Wise tees off in this week’s Shriners Hospital for Children Open at TPC Summerlin in Las Vegas, Nevada, which will be his 2018-19 season debut. The event also will be a homecoming for Wise, who resides in Las Vegas. What does it take to rise so far, so fast? Talent. Passion. Training. Like CBT Nuggets, Wise understands how important it is to keep improving your skills by partnering with a team of expert trainers. To bring out your best game, never stop learning. Join us in congratulating Wise on his well-deserved honor!